Heat olive oil in a frying pan. Add garlic and onion, cook over a medium heat until translucent and lightly golden in colour. 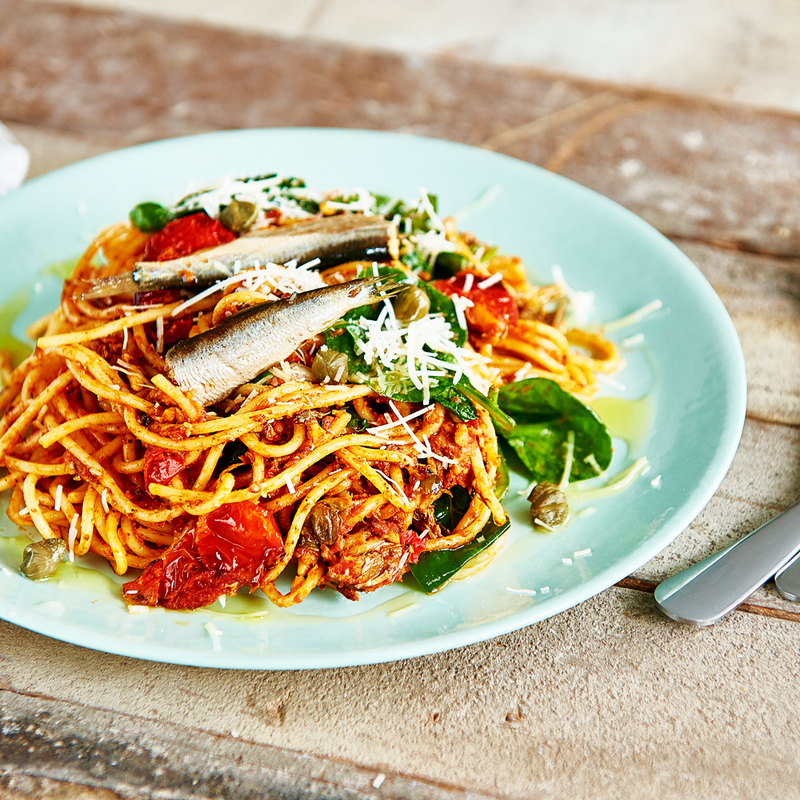 Add sardines and semi-dried tomatoes. Stir through and cook until sardines become crispy. Add capers and tomato paste and stir through. Cook for a further 5 minutes. Add to cooked pasta with baby spinach, parmesan and cracked pepper. Stir through with pasta until well combined.